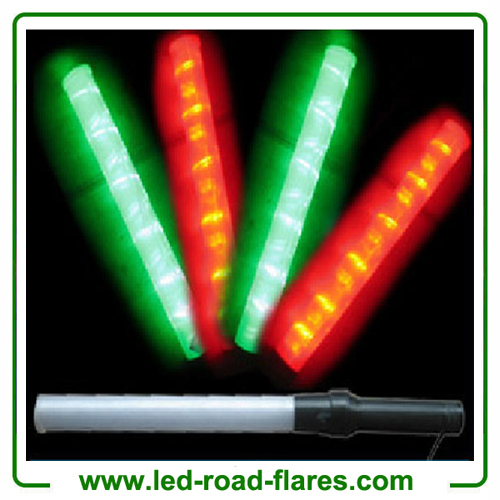 This Red Blue led traffic batons is made of PC tube and ABS handle, with magnet base and easy to attach on car or metal, 36cm long and 4cm diameter. 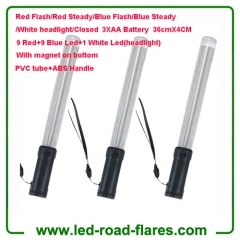 This 6-mode red blueled traffic wand is Ideal for all police, rescue, safety and industrial personnel and are widely used in directing traffic on parking lots, airports, camping activities,sports events at stadiumor school and more. 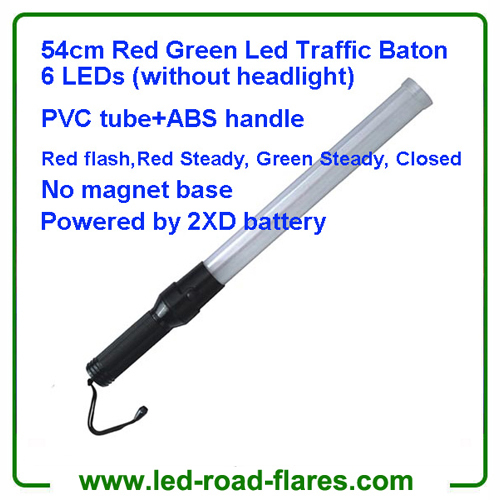 It provides great visibility under dark, rain, fog, snow and other bad weather conditions.